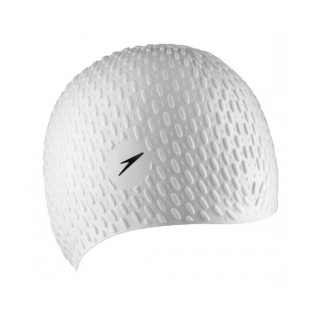 The Speedo Bubble Silicone Swim Cap provides optimum comfort and UV Protection. My absolute favorite swim cap! Love this cap. Hate most of the regulation caps out there that look like prophylactics... this one is feminine, cool, has some class and style, and fits great. Goodbye TYR skullcaps!